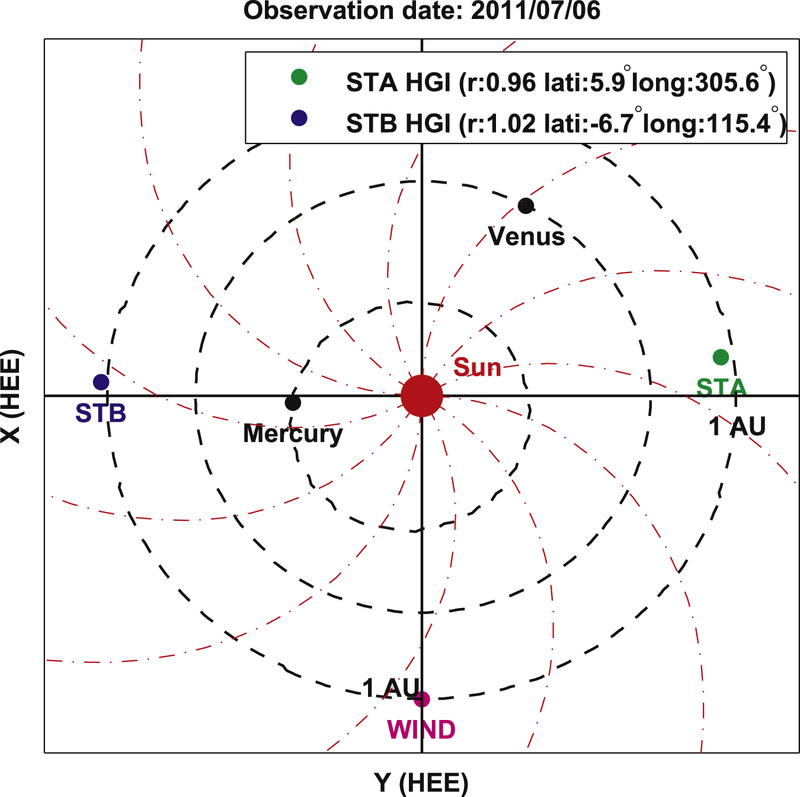 Positions of the spacecraft (WIND, STEREO A, and B) and planets in heliocentric Earth-ecliptic (HEE) coordinates on 2011 July 6. 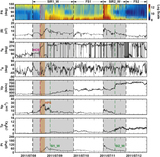 The red dotted–dashed curves approximately represent the tracks of solar wind. 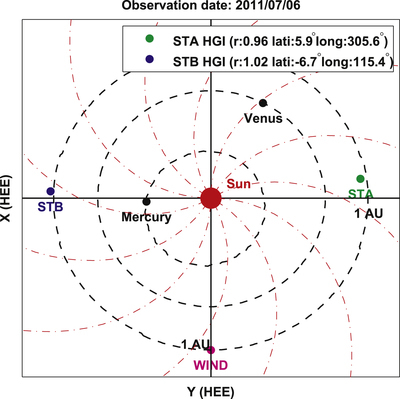 HGI stands for heliographic inertial coordinates.